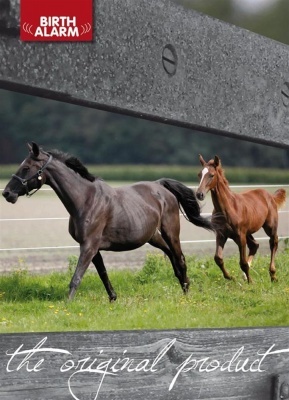 The Foal Birth Alarm Lite - our most popular alarm! Always know what is going on and keep your horse and baby safe! The Birth Alarm uses the horses movements to detect labour, and alerts you when contractions start via your mobile phone. The sensor can be attached on the horse’s back using the optional Anti-Roll Girth, or to the halter or head-collar - whatever your horse prefers. Two phones can receive the alert, so you instantly know when 'the moment' has arrived. 99% reliable. The Birth Alarm Lite is non invasive and you can attach it yourself (no need for a vet). 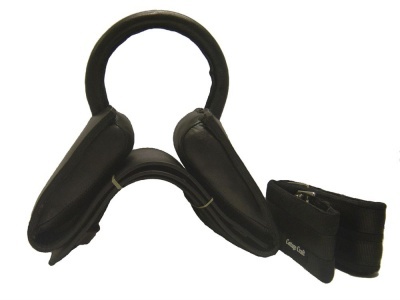 It is supplied by Gallagher and is very well respected in the industry. Please note that the anti-roll girth is optional and is not included in the kit. Should you wish to purchase the anti-roll girth it comes in a variety of sizes: 0.55 m, 0.60 m, 0.75 m, 0.90 m, 1.05 m, 1.25 m, 1.30 m, 1.35 m, 1.50 m and one especially for Shetlands. The Foal Birth Alarm can be used time and time again. We say: This is a great way to always know what is going on so you can keep your horse and pony safe. 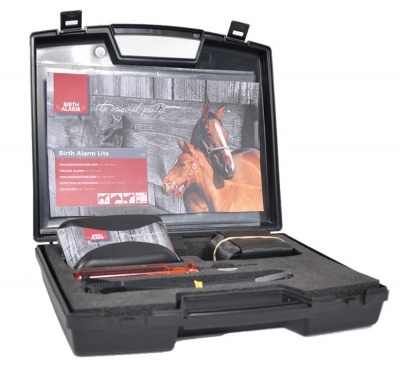 Easy to use and a great option for everyone anxiously awaiting a new foal.